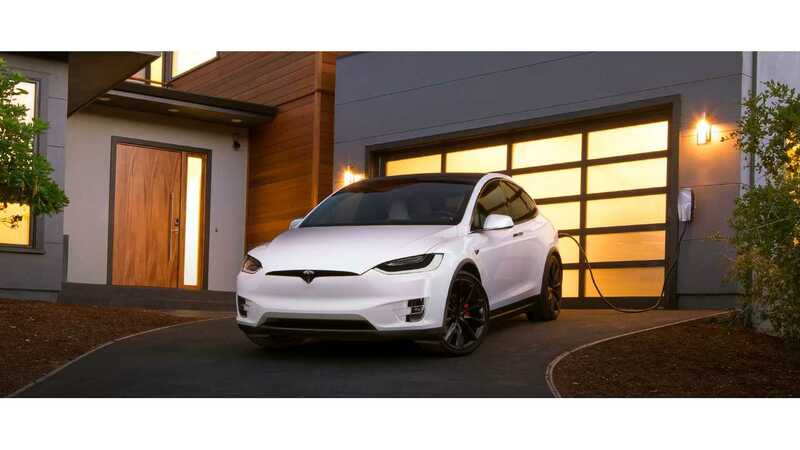 U.S. Plug-In Electric Car Sales Outlook, H1 2016 - California VS Rest Of U.S.
U.S. Plug-In Electric Car Sales Outlook, H1 2016 - California VS Rest Of U.S. product 2016-09-17 14:33:54 https://insideevs.com/news/331030/us-plug-in-electric-car-sales-outlook-h1-2016-california-vs-rest-of-us/ Sales, u.s.
Reuters Graphics released some interesting and interactive graphs (pictured above) with plug-in electric car sales comparisons. The data isn't terribly timely in this case (through June of 2016), so the 2016 results are fairly muted to current reality as plug-in sales in the US were up 66% in August (details), and 50% in July (details)...the two largest back-to-back moves since, well, ever. But what we do clearly see the a huge role played by California expressed as a percentage of those sales. The state often boasts sales higher than rest of the states combined. 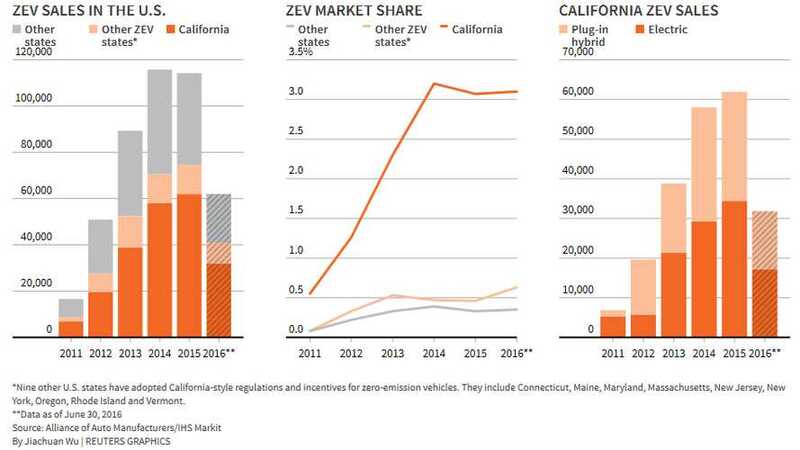 Unprecedented is also the market share in California at over 3%. Of note, most of the sales in the Golden State are BEVs.